as you can see, the offset of the private data for each type changes depending at which point in the class hierarchy initialization we are, and can only be determined once the whole class hierarchy has been initialized. this makes retrieving the pointer of the private data a pretty hard problem; one way to solve it is storing the private pointer when we initialize the instance, and we spare ourselves from type checks and traversals. the main problem is that, in order to get to the private data faster, we need to rely on a specific layout of the instance structure, something that is not really nice if we want to have generic accessors to private data2. for that, it would be really cool if we could only have offsets to through to G_STRUCT_MEMBER(). I can already see people using Valgrind preparing torches and pitchforks — but fear not, my fellow developers: GLib now detects if you’re running under Valgrind, and it will communicate with it4 about this new memory layout, as well as keeping a pointer to the beginning of the allocated region, so that you won’t get false positives in your report. this was the state at the end of the hackfest. on top of that, I decided to contribute a bunch of “syntactic sugar”5 to cut down the amount of lines and things to remember6, as well as providing a good base towards making GProperty work better, and with fewer headaches. the my_object_get_instance_private() function is generated by G_DEFINE_TYPE, so you can forget about G_TYPE_INSTANCE_GET_PRIVATE and all that jazz. also, no more g_type_class_add_private() — one less thing to remember is one less thing to screw up. you can still store the private pointer in your instance structure — and if you care about ABI compatibility, you really should — but for new code it’s not necessary. you can finally hide the private data structure inside your source code, instead of having the typedef in your header, sitting there, taunting you. finally, everything is just as fast as it was, as well as backward compatible. 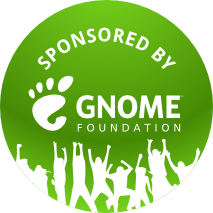 I did announce it on foundation-list, given that it impacts my position on the Board of Directors of the GNOME Foundation, and I did a sneaky tweet as well, but I guess the blog (and Planet GNOME) is still the Old Fashioned Way™ to do these things — and seeing that Cosimo beat me to a punch, it’s worth saying that I have joined Endless Mobile as well. my last blog post about my work life was a bit depressing, I guess; I received a ton of support and encouragement from many, many people — too many to thank effectively in the narrow margins of this blog. I did take the announced month off, and I was already on my way to recovery; then I met Matt, who told me about Endless, and what they were trying to do with GNOME, and I felt the absolute need to help them as much as I could. after all, aren’t we trying to make GNOME a viable proposition for OEMs and OSVs to take and put on their own devices? I’m sure we’ll be able to start telling the community at large more details about what we want to achieve, and how. in the meantime, I expect to see people in San Francisco a bit more often (though I’m still going to be based on London for the foreseeable future), and I’ll obviously be at GUADEC in Brno.